University of Illinois Springfield Chancellor Susan J. Koch has been named one of the six Security Bank and Springfield Business Journal (SBJ) Women of Influence for 2017, as announced by the SBJ. She will be honored during a reception on Tuesday, May 9, 2017. The 14th annual program honors local women for their contributions to the Springfield area community. Winners are selected by an awards committee. “Knowing so many women who are previous recipients of the Women of Influence Award, I am deeply honored to be among this year’s recipients,” said Chancellor Koch. As chancellor, Koch is the chief executive officer of the Springfield campus. She also serves as a vice president of the University of Illinois and is a member of the U of I president’s cabinet. Koch has been part of the greater Springfield community since 2011 when she was appointed chancellor. She has led the campus in a reaffirmation of its strategic plan and in building consensus around three strategic priorities: growth, talent acquisition and retention, and facilities. The campus has increased enrollment, enhanced diversity and seen a new branding and marketing strategy: Leadership lived. All of this has had a positive effect on the greater Springfield community, while creating significant local economic growth. Koch has led the successful completion of the Brilliant Futures Campaign, which surpassed its local goal of $28 million and set new expectations for fundraising success. She is currently leading an initiative to build UIS’s first student union, which should be completed in early 2018. Koch has also led efforts to beautify UIS by securing private funding for a Shakespeare garden featuring a sculpture of “The Bard” in addition to a prominent, original sculpture of Abraham Lincoln in the heart of the campus. 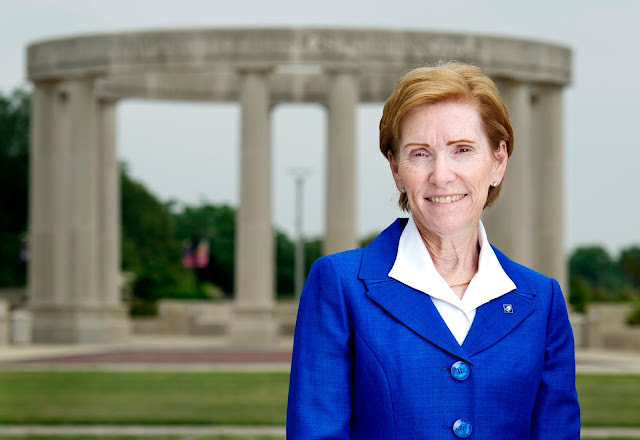 Outside of her responsibilities at UIS, Koch serves on the United Way of Central Illinois Board of Directors and is a member of the Memorial Medical System Board of Directors. She has also been actively involved in the Chamber of Commerce serving on both the Strategic Leadership Committee and the Community Leadership Committee. She has previously served on The State Journal-Register First Citizen Award Committee and the Illinois Bankers Association Banker of the Year Award Committee. Koch is married to Dennis Koch, a farmer and president of Koch Angus Farms.